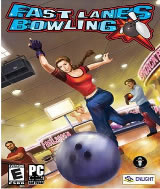 Fast Lanes Bowling allows players to experience the excitement of having an entire bowling alley available on their PC. Through an advanced bowling physics model, Fast Lanes Bowling gives players real-time control of their strength, accuracy, position and spin each time they bowl. This title also features several character variations and six challenging gameplay modes. With 12 day and night fantasy environments such as ancient Egypt, a tropical island or aboard a pirate ship, players will never have to settle for an average bowling alley experience. Multiplayer game: Play with a friend! Comments: In this game your a bowler who goes all over to bowl at different allies all over the world including boats and more. You score the same way as you do in the ally. This game is friendly for all in the family.